Kohls has My Little Pony Slippers on sale for $5.39, down from $18. In addition they are offering everyone an extra 20% with coupon code FAMILY20 bringing your price down to just $4.39. 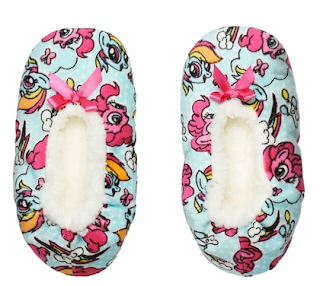 Featuring Pinkie Pie and Rainbow Dash, your little one is sure to adore these My Little Pony fuzzy babba slippers in light blue.